VOX Cloud for Mac & iPhone. Unlimited Music Cloud Storage for Hi-Res Audio. 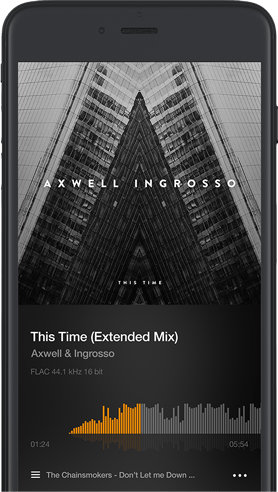 Upload music to unlimited cloud storage and play it from your Mac, iPhone, Carplay, Sonos and any other supported audiosystem. Everything stored in VOX Cloud (formerly LOOP Music Cloud Storage) is synced and played in its original quality on your Mac and iPhone anywhere, anytime. You can cache any song or album from your music collection to listen to it offline. Take the sound quality to a whole new level. VOX Premium (formerly LOOP Music Cloud) stores all your music in the cloud in its original quality, with zero compression. VOX Cloud was designed to store and stream your Hi-Res music in the original quality to give you the best listening experience. VOX Cloud supports most lossy and lossless audio formats and doesn't compress or convert anything. VOX Premium allows you to upload as much music as you want, offering you unlimited storage for your music with no restriction on audio formats. You no longer need to worry about losing tracks you like in particular. Forget about external HDDs or cleaning Mac's storage to have space for music. Fill the unlimited cloud storage with the music you love. VOX Cloud is an unlimited online storage for your music. Free you Mac and iPhone from Hi-Res files and store everything in VOX Cloud Storage. Enjoy real-time sync across your Mac, iPhone, and other supported devices including Carplay to take your music anywhere you go with no hassle, but maximum quality. No cell service? Not a problem. 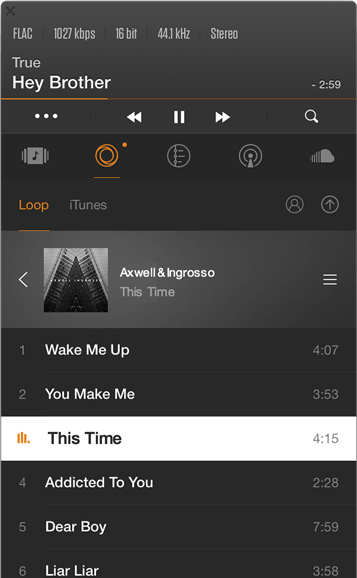 Download individual tracks and full albums from the cloud to for offline playback. Listen to your music anywhere you want. VOX Premium supports lots of audio formats including FLAC, MP3, ALAC, and more. VOX Cloud doesn't convert anything, so your files are stored in their original quality. VOX Cloud is a safe and secure place to store your music collection as your files are stored on various servers around the world. 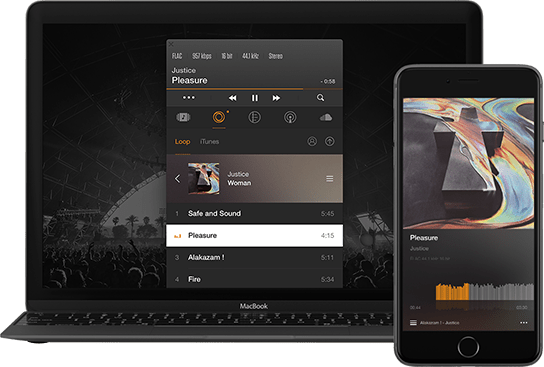 Enjoy your music with VOX Premium, the world’s leading audio player for Mac and iPhone devices. of music files were uploaded. Join! Sign up to VOX Premium today! Premium subscription includes VOX Cloud - unlimited music online storage, Advanced Audio Settings (Equalizer, BS2B, Gap/Overlap, etc. ), VOX Radio with over 30,000 radio stations and cross-device music library synchronization. Start your subscription today and experience all the features VOX Premium has to offer. Enjoy your music in the highest quality possible and don't bother about audio formats. VOX Premium supports most audio and playlist formats. VOX Premium is a perfect app for true audiophiles and music lovers as it offers the utmost in and sound quality and functionality.